Im really tempted to say this is a good fake done with the aid of GPS however i would like all your comments. Is the progression of crop circles into ever more sophisticated forms work of people with too much time on their hands or not? 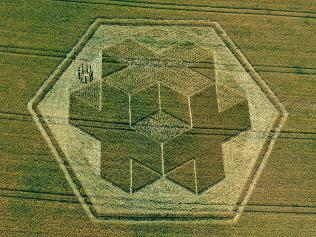 How can we tell the difference between genuine crop circles and fake ones when the hoaxes get more advanced every year?